Firma Dragon poinformowała o zestawach, jakie niedługo trafią do produkcji. 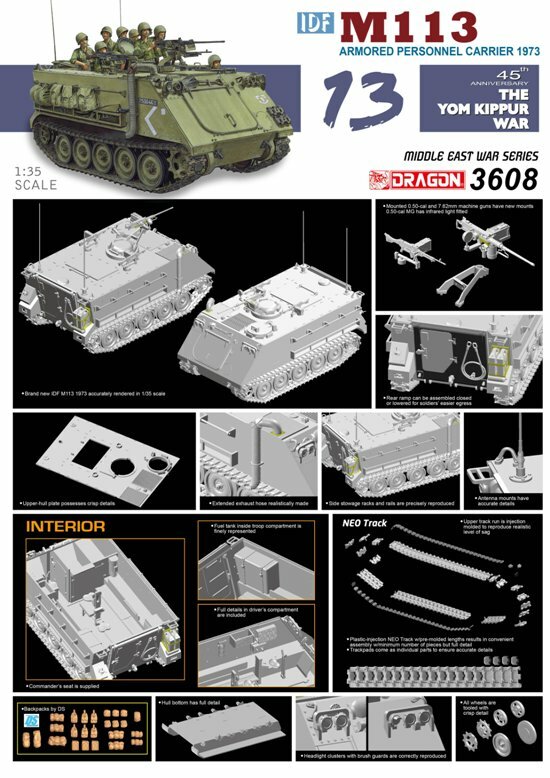 After previously releasing IDF kits like Magach tank, now an important armored personnel carrier (APC) widely used by the IDF is available to accompany the heavier armor. 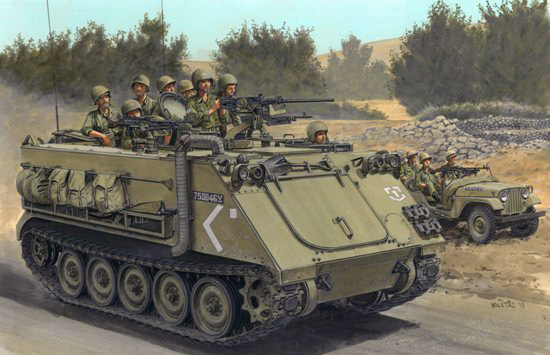 It’s the Zelda, an Israeli variant of the ubiquitous M113 APC, as used in 1973 at the time of the Yom Kippur War. The IDF employed thousands of these APCs. The Zelda is operated by a crew of two and it carries 11 passengers. Typical armament was two 7,62mm and one 12,7mm machine guns. This 1/35 scale kit of the IDF M113 APC, built to today’s standards, has been eagerly awaited by many modelers around the world. This kit is all new except for a limited number of parts such as the Neo tracks, road wheels and machine guns that have been used on other related kits. All exterior and interior details are fully replicated, allowing modelers to show the hatches and/or rear ramp open to show off the exemplary detail. Special features specific to the IDF, including the side stowage racks and rails as well as the extended exhaust hose, are naturally present. The vehicle includes a .50-cal machine gun, as well as two 7,62mm weapons. Indeed, this nowadays standard M113 kit is ready to roll right into action now.